The Brisbane Bullets are back for Season 2016-17 and they take on the Perth Wildcats in their first outing to open the season. 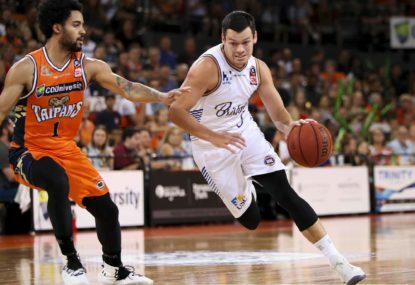 With news breaking on Thursday afternoon that the Townsville Crocodiles would not be participating in the National Basketball League (NBL) during the 2016-17 season, the success of the returning Brisbane Bullets has become all the more important. The news of the Crocodiles exiting the league on Thursday came as a shock. Even though the Crocodiles finished in last place on the ladder last season, and struggled for crowd numbers, they did seem to pick up after Christmas and the New Year period. That was almost a direct result of NBL CEO Larry Kestelman appealing to the people of Townsville to show they wanted a team in the region. The problem for the Crocodiles, with a major economic downturn hitting the city was that not enough people were showing up to the games. Already in a poor financial position before the season, only just making it out of voluntary administration under a community ownership model the low crowds that hampered them throughout the season was the final death blow for the Townsville club. The pressure, and let me tell you there is a lot of it now turns to the Brisbane Bullets organisation. 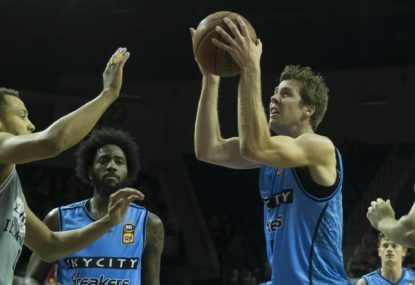 They become the second team in Queensland, which was an important figure to maintain – but more importantly they become the league’s eighth team. Retaining eight teams in the NBL for next season, and every season moving forward as a bare minimum is hugely important on a number of fronts. No national league that wants to function properly, be given any respect by fans, the general public or the media and more importantly wants to be on TV or make a profit can afford any less than eight teams. 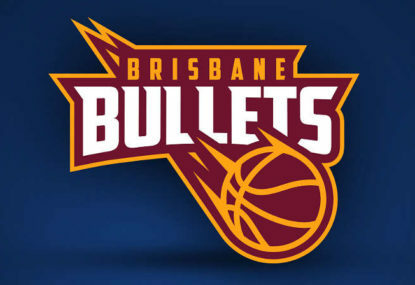 When the NBL signed with Fox Sports to have every game live on TV for the first time last season, it was a condition of the deal that the Bullets return to Brisbane, a major market for both Fox Sports – and one they are hoping to turn into for basketball in Australia. So, as you can tell, just by the fact that the Bullets were required to make a return in Brisbane under the TV deal it was already going to be a massively important thing to get right. As a team, there is a need to be successful almost instantly and try to capture the hearts of the people of Brisbane. 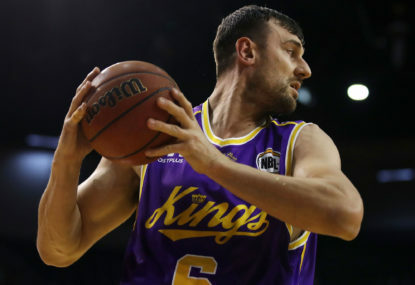 Brisbane is not a city starved of sport either, but the Bullets have a real opportunity to create a stronghold in summer, with the A-League’s Brisbane Roar and cricket the only things to challenge during summer when the NBL is played. But away from a Queensland sporting landscape, and basketball perspective, it is a leaguewide perspective now. The Crocodiles were building, or certainly looking to for a strong 2016-17 season. As mentioned, eight teams is the bare minimum that a league needs to work. That being said, the Bullets not only have to find a way to get it together on the court, but off it at a board level as well – and that pressure was accentuated yesterday. Unfortunately, the way the Crocodiles ended was a little bit of a farce. Congratulations to the organisation and the NBL for picking the biggest day of the NBA season – when the media couldn’t care less about Basketball in Australia but there was an obvious communication problem. Bring the Noise and support the Crocs in the Alley-Oop section for just $392! I also have it from reliable insiders, that the club sent out a membership email just hours before the official announcement came to light. This level of incompetence at board level simply can’t be tolerated from a Bullets outfit that needs to try and build a positive image and work their way into the media and public in Brisbane. Now, don’t get me wrong, the Bullets have made a positive start. They signed Australian coach Andrej Lemanis and former legend C.J Bruton, along with Adam Gibson and Daniel Kickert in the first days of free-agency which gives them a very solid start. Worryingly though, they haven’t announced any more signings as yet, and have no imports on the books. These are issues that need to be fixed urgently to start capturing Brisbane’s attention. The other reason such importance needs to be placed on the Bullets first season back in the competition, if further expansion and any hope of success at that. After last season, it is viable to think more teams will enter the league in the near future. I’m not going to speculate where here, but let’s say there is a good chance Kestelman isn’t even looking at Australia. Getting the Bullets right could set the model though for expansion in the future. Get the Bullets wrong though, or if they are to crash and burn within the next few years will see every possible route of expansion for the NBL, something the league desperately needs over the next five to ten years if it can keep up the success of last season, shut down in a heartbeat. No doubt yesterday’s announcement had put more pressure on the Bullets organisation to succeed straight away in every department. It is vital for them, Basketball in Queensland and Australia, and the very future of the NBL, plus Fox Sports ongoing commitment to the game. Over to CEO Mitchell Murphy and the team. 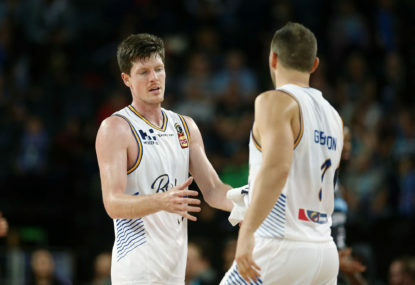 They will have to buck history to bounce back successfully from losing Game 1 in Perth on Thursday night, but the Brisbane Bullets have three significant milestones as added incentive as they try to keep their season alive today.